Home » North Cascades National Park design released! North Cascades National Park design released! Announcing our new North Cascades design. This is a unique effort based upon one of my favorite Australian travel posters. The headline I used became the park byline (or whatever it's called) for the 50th anniversary. 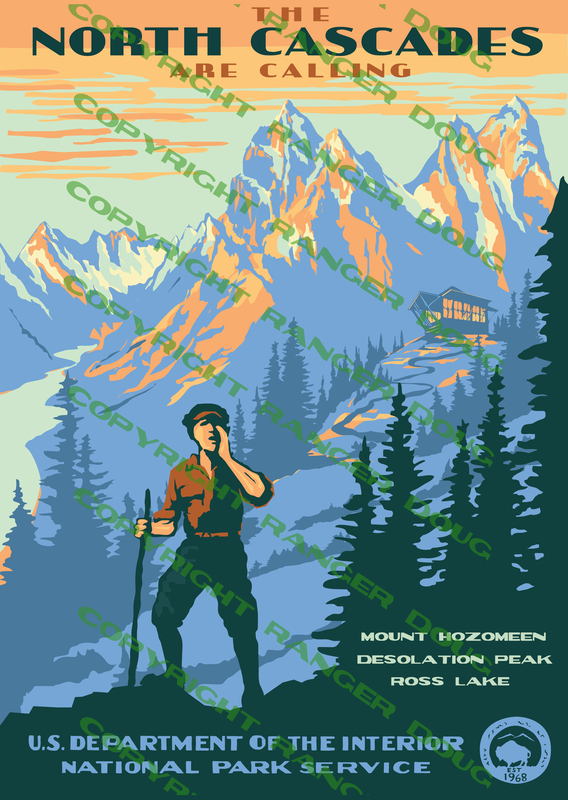 This print is actually three designs: the one here, a Fred Beckey version to those of us who knew and climbed with Fred, and a Jack Kerouac version (it will feature a JK quote instead of the place names). We will publish this first in cards only (Due out in November) and will evolve to a screened poster if there is enough demand and the Park endorses it. Canyonlands and Teddy Roosevelt are advancing through the final process--stay tuned!